After arriving at Windhoek International Airport, you’ll be greeted by your professional hunter. 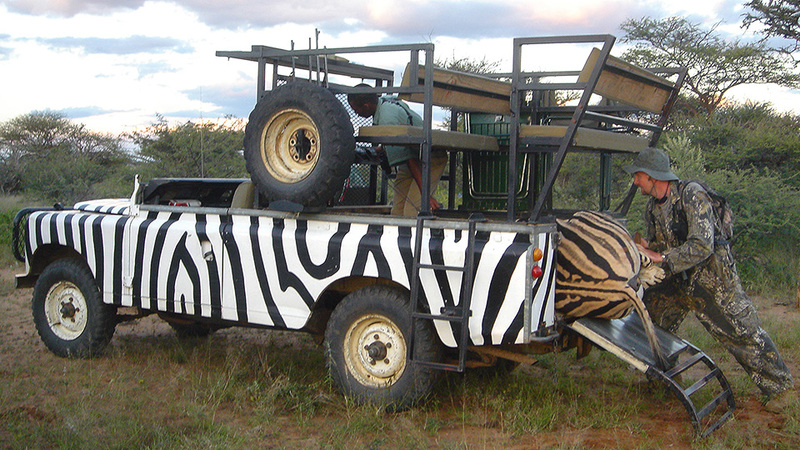 He will drive you through the natural beauty of the sweeping African plains where countless herds of magnificent animals graze. It’s just over an hour’s drive to the Makadi Safari Lodge. After a little rest and refreshment you’ll be ready, for soon, the hunt will begin! 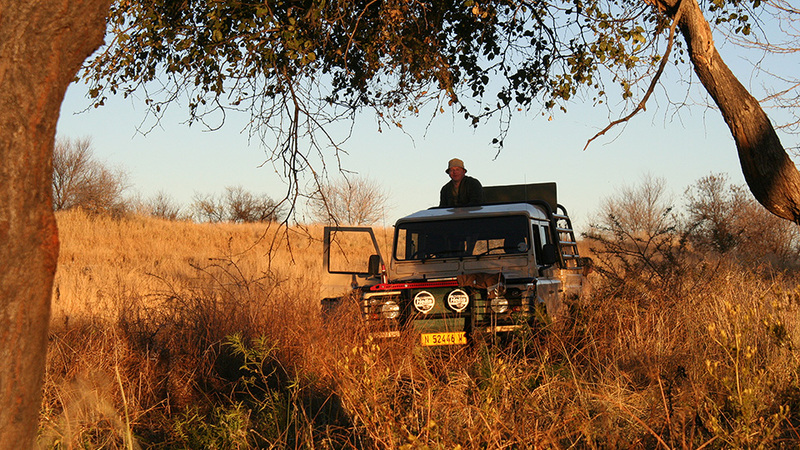 A four-wheel drive vehicle, fitted with two-way radios, will be driven by your professional hunter during your safari. 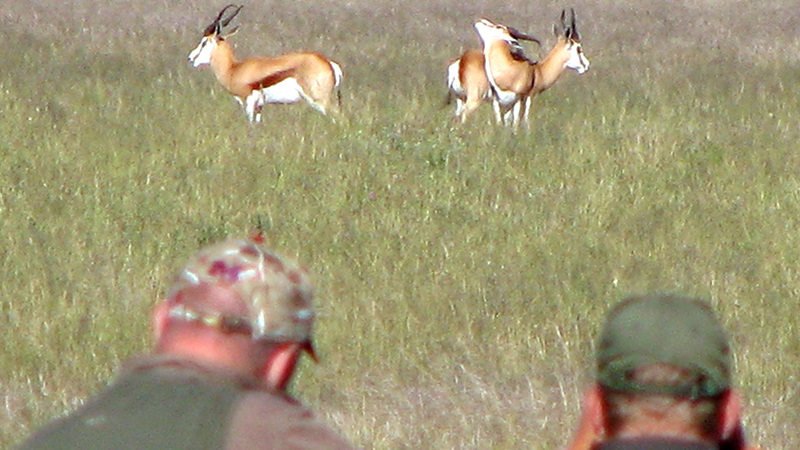 The scenery blends from hilltops to flat savannas where Springbuck and other game are numerous. Once game is spotted, you and your professional hunter will leave the vehicle to stalk on foot. He will then assist you in selecting the trophy that you will take. Please note: Although we maintain utmost care and precaution for the safety of our Makadi Safari guests, we cannot accept responsibility for any illness, accident or loss whatsoever, nor any expenses of any nature arising therefrom. We advise, therefore, that you acquire sufficient insurance for yourself, your personal belongings and your baggage before you leave home. The Namibia Professional Hunting Association was founded in 1974 in order to promote Namibia as a hunting destination internationally and protect the right to hunt locally. Nonprofit organization dedicated to the conservation of wildlife, education of the people, and the protection of hunters' rights. The mission of Dallas Safari Club is to conserve wildlife and wilderness lands; to educate youth and the general public and to promote and protect the rights and interests of hunters worldwide. The International Council for Game and Wildlife Conservation (CIC) is a politically independent not-for-profit advisory body, aiming to preserve wildlife through the promotion of sustainable use of wildlife resources.